A few weeks ago the Lil Divas and I hosted a Mega Bloks Barbie Party via MommyParties. 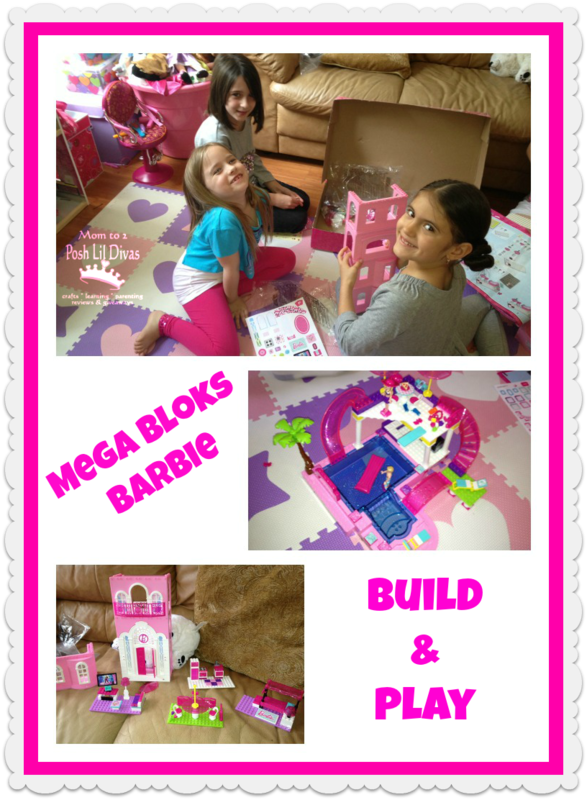 The Lil Divas were so excited to get our "ginormous" box in the mail filled with Mega Bloks Barbie kits. 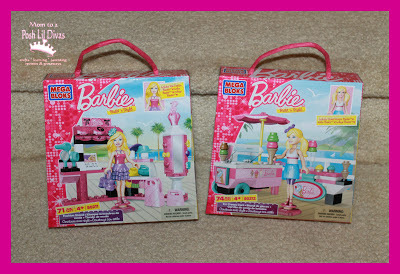 We received the Barbie Build 'n Style Luxury Mansion and the Barbie Build 'n Style Pool Party. Plus, we received the Build 'n Style Ice Cream Cart and the Build 'n Style Fashion Stand for all our guests! The Lil Divas were giddy with excitement. They wanted to dive right in and start building but I had them hold off so that all our guests could build and play together. 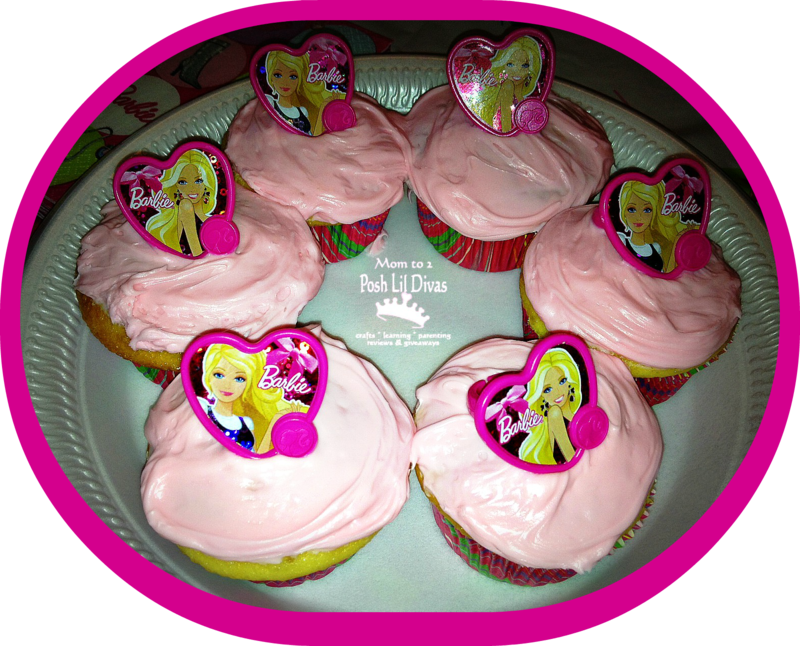 For our Mega Bloks Barbie Mommy Party we whipped up some yummy cupcakes with pink icing & and a Barbie ring topper. We also had kid friendly snack foods and drinks. 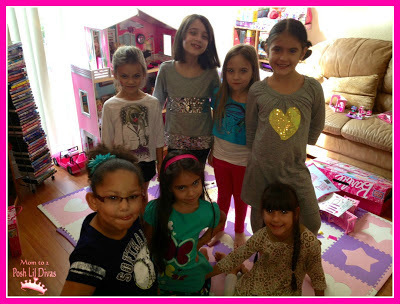 Once all the girls arrived (we had a total of 7 girls between the ages of 5 and 8 years old) the building fun began. I have to admit that the mommies got right in and helped too. It was a true team effort. There was lots of chatting, laughing, building and playing - it was wonderful. The girls had to work together, going step by step to ensure that the kits were being built correctly. It was hard work but they persevered. This was the Lil Divas first time working on a kit this large so it took them & their friends awhile to get things put together, even with the mommies helping. The girls really enjoyed the dolls in these kits. The Lil Divas have been carrying them around for weeks now. There are lots of accessories, hair changes, clothing, etc for each of the dolls. They are great for all the budding fashionistas in attendance at our party. 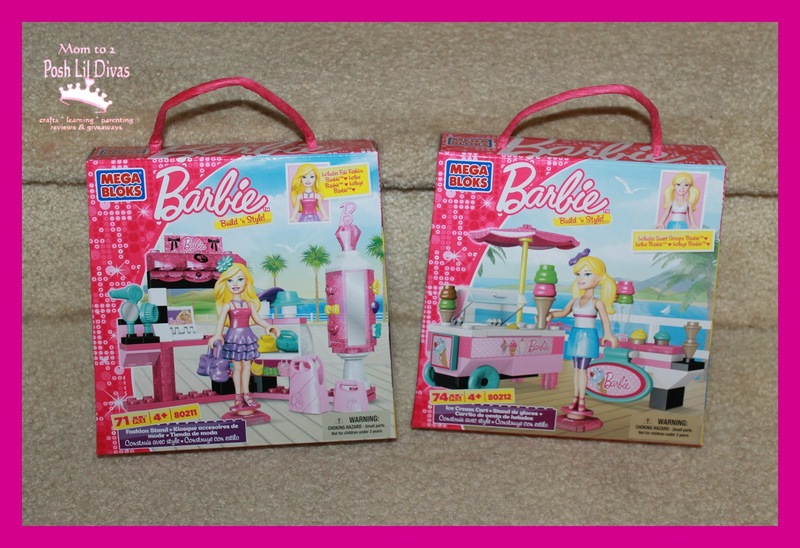 Each girl took home one of the Mega Bloks Barbie kits shown in the photo below along with a small goody bag that I had put together for each of them. 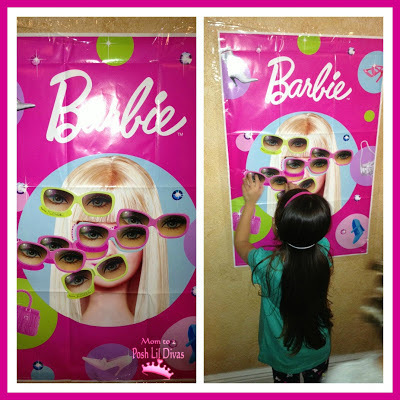 The goody bags were filled with - Barbie pencils, stickers, a bracelet and a pencil sharpener. and they had a great time building and playing together. allowing us to create wonderful memories! 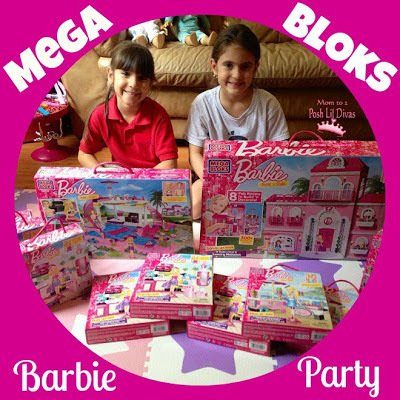 Disclosure: We received promotional Mega Bloks Barbie kits to host a MommyParties event with girls ages 5-8yrs old and share our experience. All opinions expressed are my own. 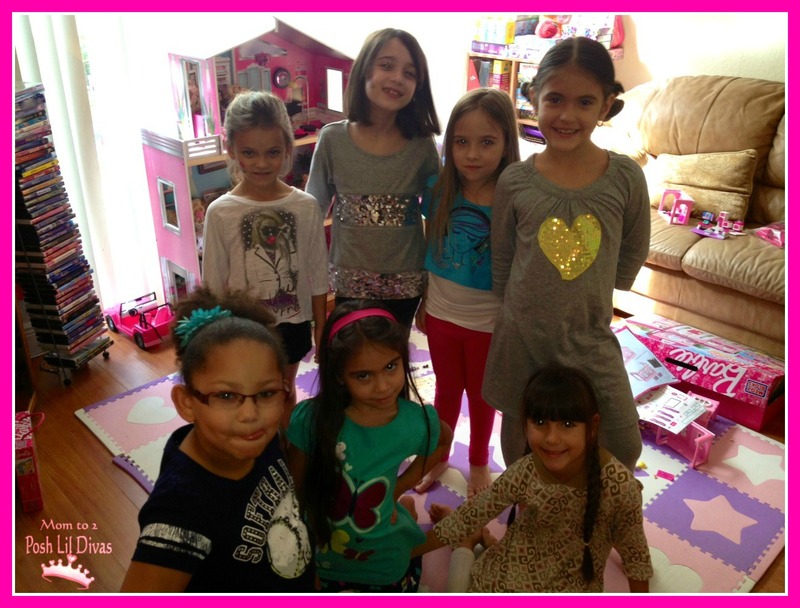 What a fun party for a bunch of little girls! Love the pin the sunglasses game...very funny! Ooh my girls would have loved to have been there! What a fabulous party and fun toys! Sounds like you all had a great time. I love that the moms joined in with the building! sounds great and similar to house party, which we've done a few times. ooohhhh! this looks like so much fun! looks like all your ladies loved the party. 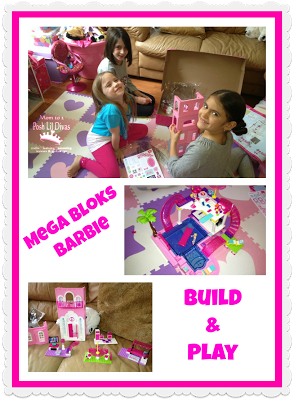 Thank you so much for inviting us to play with Barbie Mega Blocks. 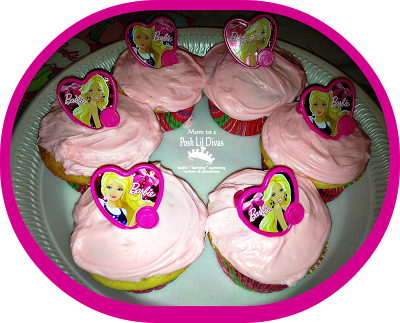 Alexandria was curious about them & had so much fun with them- that she used her piggy bank money to buy a set the next day. She plays with them every day!